Known lovingly as The White City, all of Tel Aviv was recently named a UNESCO World Heritage site. The happening city in Israel is filled with gorgeous historic buildings from the Ottoman empire to the Bauhaus era. Filled with clever fusion eateries, killer coffee, amazing street art and more museums per capita than most cities in the world, this city should be on the bucket-list. Aside from the famous beaches, and all night clubs, I highly recommend perusing boutiques in the indie fashion district, the revitalized twenties-era Gan Ha’Hashmal. 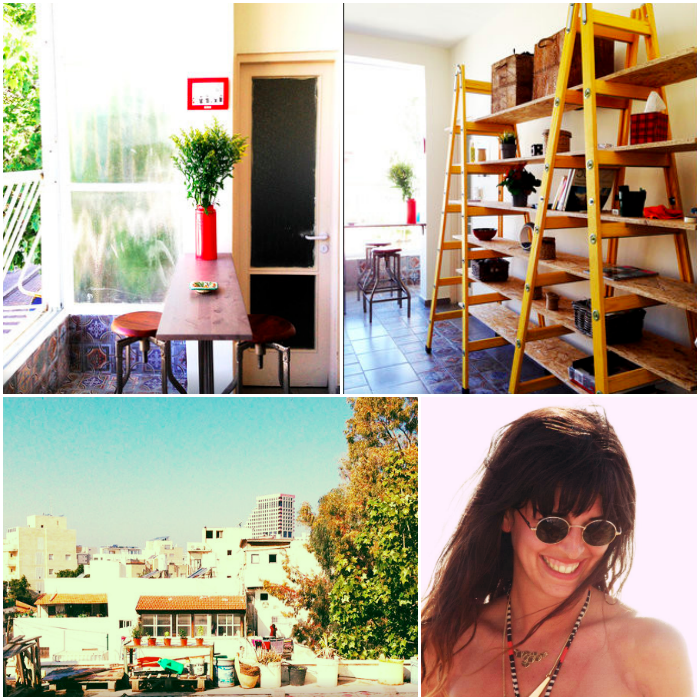 From its weather to music to its attitude, Tel Aviv is a modern, pleasure-seeker’s paradise with unexpected treasures around every corner of the mediterranean haven. What’s also in the second-city-that-never-sleeps? My cousin through marriage, Gabrielle! Say Bonjour…errr…Shalom! Gabrielle is an architect, although upon first glance one might think she’s a fashion model (credits include shots for DE GRIS by Alexandre Silberstein and Kopito). 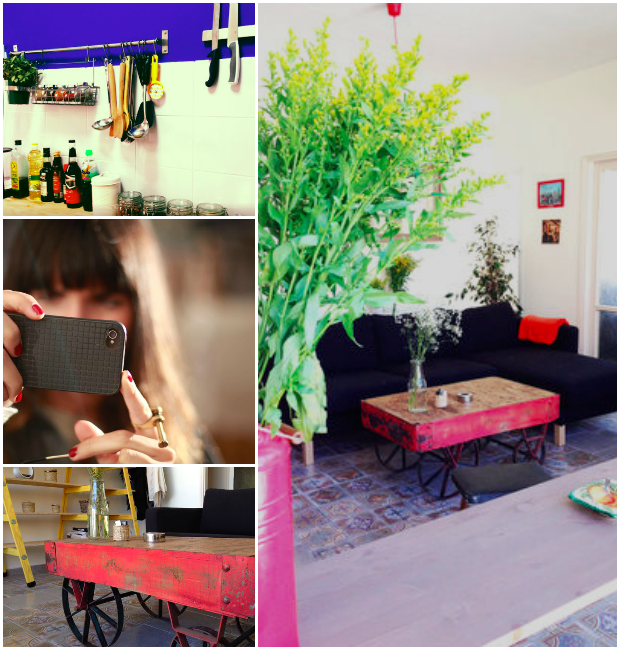 She recently moved to Tel Aviv, Israel from Paris, France by way of Buenos Aires, Argentina. Quite the jet-setter, she’s fluent in French, Spanish and English. Apparently, she’s also fluent in the sparse Scandinavian meets Moroccan Shuk design aesthetic. 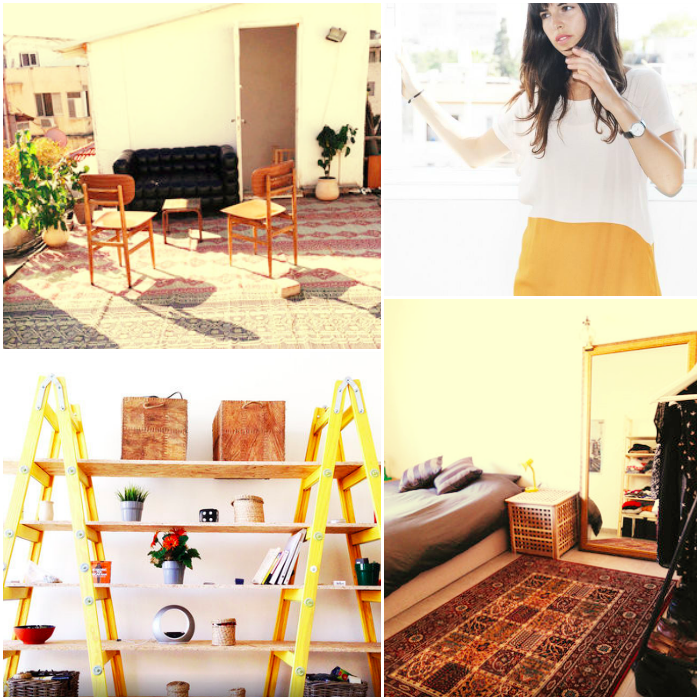 Her apartment is located in the “Kerem Hatemanim”, a lovely, artsy and picturesque neighborhood in the heart of Tel Aviv. It’s the perfect spot to start exploring the city while feeling like a local – especially since the space is only a 1 minute walk from the open-air Carmel marketplace filled with fresh fruits, spices and veggies. 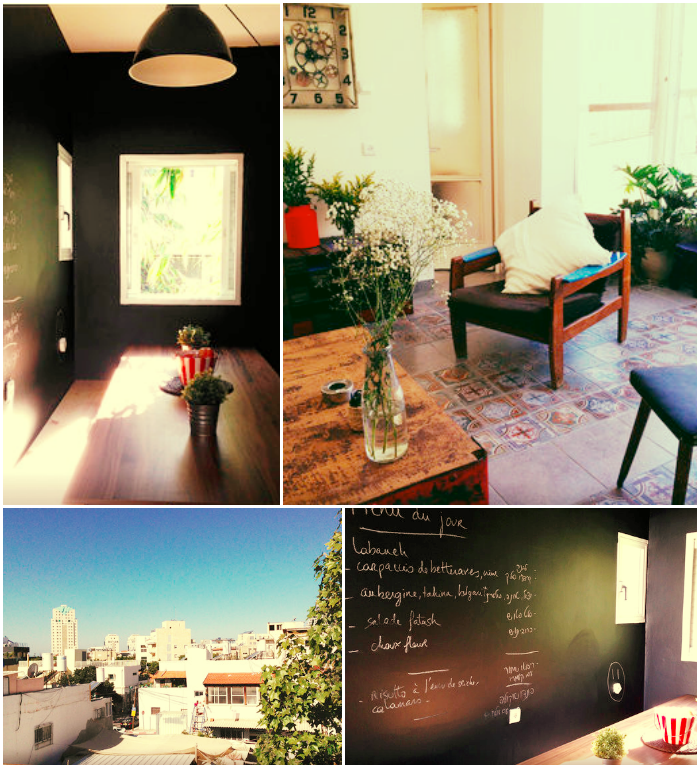 The apartment is full of light and it features its own private closed entrance from the street, private staircase and private rooftop. That sort of privacy can lead one to sunbathe naked all day. Interested in visiting? Travel to this exact home! You’ll be licking your lips in no time enjoying the delights of Eser 10, the hummus at Abu Hasan, or sipping an espresso among other bohemian types at Cafe NOACH (which makes its home in a converted artisan lampshade store).